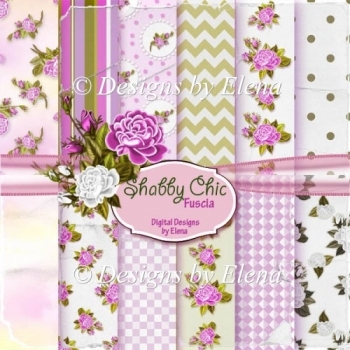 The product contains 12 shabby chic roses papers. Saved in .jpeg format, 300 dpi, 12x12 in. 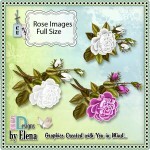 Also included are 3 rose images, saved in .png format. 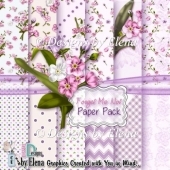 Great for scrapbook pages and backing paper for greeting cards. Please read my TOU before purchase.